After the first successful edition, we are happy to announce that the Meeting “Surgery in the Third Millennium: the Future is female” will be held in Milan on April 4th and 5th 2019. Urology was dominated by male physicians until the last few years, now things seem to have changed, female surgeons are approaching more and more to this field with excellent results. Still it is not enough and there is a lot do do. That is the reason why this event aims to give the space female surgeons deserve.Two days of laparoscopoic, robotic and endourological live surgeries performed by Italian and foreign female surgeons only. Women have increased in numbers among urological departments in hospitals, universities and urological associations and will probably be on equal terms with men in the next few years. I am sure that since today’s surgery means taking care and being passionate, you do not need physical strength but accuracy and skills. Precision wins on speed and women naturally do have these qualities. Our department trains mini invasive laparoscopic and robotic surgeons and has excellent female surgeons who already prove themselves nationally and internationally. 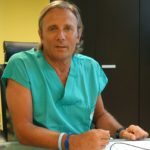 Italian and foreign female surgeons will perform together and the event is open to all who want to improve their techniques or enhance their abilities on urological surgery.